The Pinnacle | The First "Sales Selfie" in Top Echelon Network! The split placement exploits of Top Echelon Network member firms True North Consultants, Inc. and MJ Recruiters, LLC have filled the The Pinnacle Newsletter Blog in recent weeks and months. As you can see by the photo above this blog post, Dave Sgro of True North Consultants and Maria Hemminger and Joanna Spaun of MJ Recruiters split a rather substantial placement fee. After all, True North’s portion of the fee was $14,100 (that was after Top Echelon received its customary 6% brokerage fee). What you can also notice in the photo is how happy everybody is. And why is that? Because recruiters love making placements. Because Top Echelon recruiters love making split placements. Because Top Echelon recruiters love celebrating those split placements. And yes . . . Top Echelon recruiters love taking “selfies” after the fact. What of it? 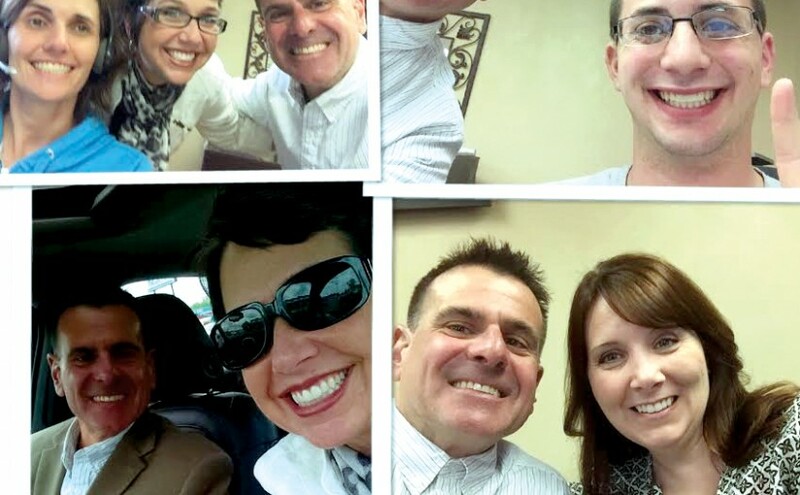 If you’ve taken a “split placement selfie” (OR a “sales selfie”) with another Top Echelon Network recruiter and you’d like to share that “selfie” with the rest of the membership, send your photo and any accompanying information to marketing@topechelon.com!